← Temple of Debod Connection to the Vatican? The Dashka Stone is a controversial artifact that it is believed by some to be the guidelines used by the architect of the world. Known as the Map of the Creator, this stone tablet has baffled researchers since its discovery in 1999. 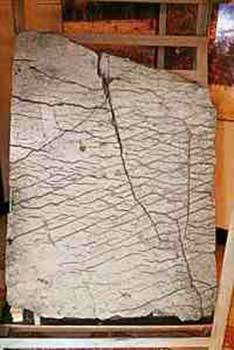 As impossible as it may seem, Russian experts believe the stone map, could be 120 million years old. The Dashka slab depicts not only the environs of the Ural Mountains, but also a series of civil engineering projects including 7457 miles (12,000 km) of channels, several dams, and hieroglyphic notations of unknown origin. The accuracy and perspective of the map suggest that it was created from an aerial point of observation. The hieroglyphs have not, as of the time of writing, been deciphered but are thought to be related to an ancient form of Chinese. 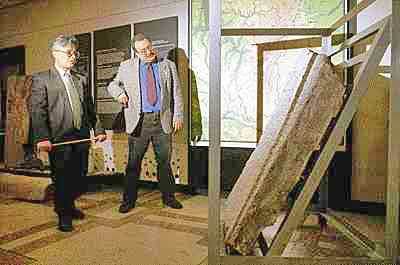 Archeologists from the Bashkir State University discovered the Dashka stone in the Ural Mountains of eastern Russia on July 21, 1999. The discoverers were immediately struck by the size of the tablet. It measures 58 inches (148 cm) high, 42 inches (106 cm) wide, 6 inches (16 cm) thick, and weighs one ton. Upon further examination, the researchers were even more stunned: the tablet appears to show a highly accurate topographical map of Bashkiria, a specific area of the Ural Mountains, at a scale of approximately 1:1.1km. Alexandr Chuvyrov, a professor at Bashkir State University who led the team, named the stone Dashka in honor of his granddaughter who was born on that day. The Map of the Creator is comprised of three levels, strongly suggesting that it did not originate in nature but was artificially made. The first layer is roughly 7 inches (18cm) of a cement or ceramic compound based on dolomite. The second layer is roughly 1 inch (2.5cm) of diopside glass enriched with silicon. The third layer is only a few millimeters thick and is made of a calcium-porcelain mixture, perhaps to give the tablet added protection or perhaps to create a diffused light to better illuminate the stone. 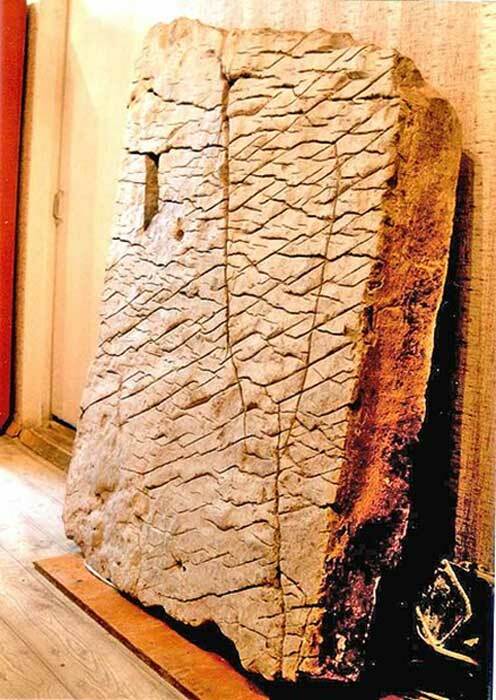 The Dashka stone undoubtedly points to a Ural civilization more advanced than previously suspected, however, the claims that it was made 120 million years ago by a geographic Creator are mostly likely false. The Bashkir researchers derived this date from a pair of ancient seashells found locked in the stone slab. The first shell, Navicopsina munitus of the Gyrodeidae family, could be as old as 500 million years. The second shell, Ecculiophalus princeps of the Ecculiomphalinae subfamily, could be as old as 120 million years. Why these shells, still intact, were incorporated into the tablet or if they were purposefully included at all cannot be known for certain. Scientists suspect that, aside from the ancient shells, the tablet was made approximately 3000 years ago, however, it is exceedingly difficult to radiocarbon date the engravings themselves. This is still an incredible date, given the detail and advanced craftsmanship of the map. 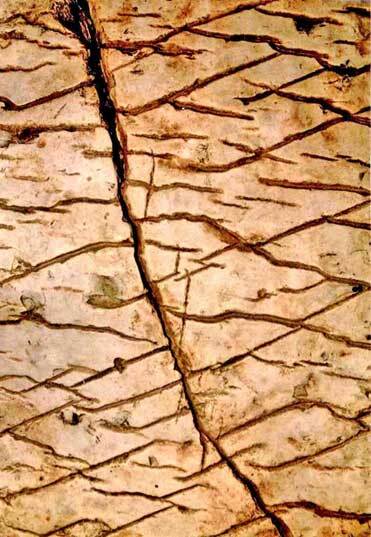 Some commentators are even more skeptical, claiming that regardless of the age of the stone, it is just an accident that the fissures resemble Bashkiria. To these doubters, the cracks are no map, just an interesting coincidence.